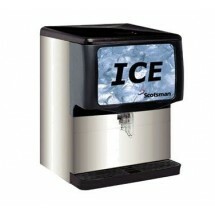 Commercial ice machines are a must in every type of bar, restaurant and cafe bistro. 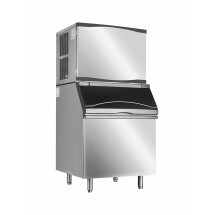 Your establishment needs ice on demand with a sturdy ice maker that will meet the needs of whatever size and style food establishment you own. 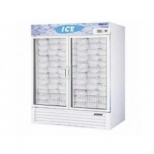 Shop our large selection of undercounter ice machines, cube, nugget and flake style ice machines, hotel ice dispensers, as well as remote condensers, ice bins and all the ice making supplies you will need to set up and keep your ice machine in good working condition. Shop top brands such as Scotsman, Manitowoc, Ice-O-Matic, Hoshizaki and others at great prices with financing options available. Hoshizaki F-450MAH-C 431 lb. Air-Cooled Nugget Compressed Ice Maker Sold As: 1 ea You're pre-approved for a cash advance! Scotsman C0630MW-32 722 Lb. Prodigy Medium Cube Style Water-Cooled Ice Machine Sold As: 1 ea You're pre-approved for a cash advance! Scotsman C0630SW-32 722 Lb. 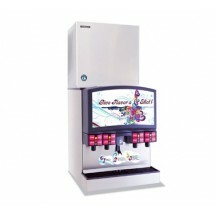 Prodigy Small Cube Style Water-Cooled Ice Machine Sold As: 1 ea You're pre-approved for a cash advance! 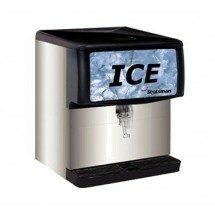 Scotsman HD30W-1 Hotel Ice Dispenser with 180 Lb. 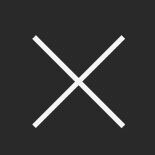 Capacity Sold As: 1 ea You're pre-approved for a cash advance! Scotsman N0422A-1 420 Lb. 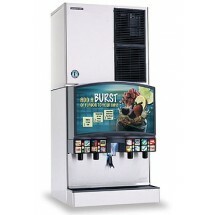 Prodigy Nugget Style Air-Cooled Ice Machine Sold As: 1 ea You're pre-approved for a cash advance! Hoshizaki B-1650SS 1605 lb. Ice Bin Sold As: 1 ea You're pre-approved for a cash advance! Scotsman F0522W-1 530 Lb. 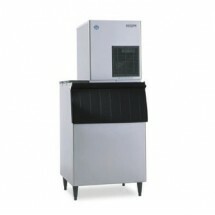 Prodigy Flake Style Water-Cooled Ice Machine Sold As: 1 ea You're pre-approved for a cash advance! Hoshizaki F-330BAH 330 lb. Air-Cooled Flake-Style Ice Maker with Bin Sold As: 1 ea You're pre-approved for a cash advance! Scotsman N0422W-1 455 Lb. Prodigy Nugget Water-Cooled Ice Machine Sold As: 1 ea You're pre-approved for a cash advance! Scotsman AFE424A-1 395 Lb. 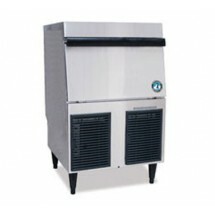 Air-Cooled Flake Style Ice Machine Sold As: 1 ea You're pre-approved for a cash advance! 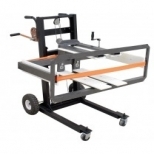 Scotsman AFE424W-1 400 Lb. 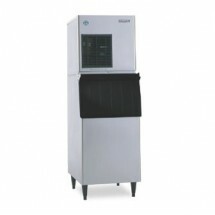 Water-Cooled Flake Style Ice Machine Sold As: 1 ea You're pre-approved for a cash advance! Hoshizaki F-330BAH-C 320 lb. 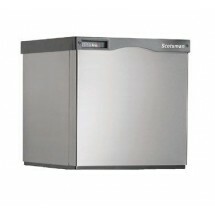 Air-Cooled Cube-Style Ice Maker With Bin Sold As: 1 ea You're pre-approved for a cash advance! Scotsman ID200B-1 200 Lb. Countertop Ice Dispenser Sold As: 1 ea You're pre-approved for a cash advance! Hoshizaki KMD-850MRH 833 lb. Remote Air-Cooled Cube-Style Ice Maker Sold As: 1 ea You're pre-approved for a cash advance! 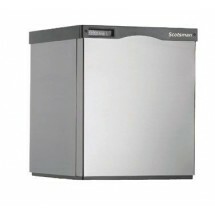 Scotsman BH1300BB-A 1400 Lb. 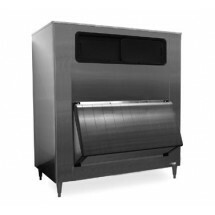 Upright Ice Bin for Top Mounted Ice Makers Sold As: 1 ea You're pre-approved for a cash advance! Hoshizaki KMD-850MAH 786 lb. Air-Cooled Cube-Style Ice Maker Sold As: 1 ea You're pre-approved for a cash advance! Hoshizaki KMD-850MWH 836 lb. Water-Cooled Cube-Style Ice Maker Sold As: 1 ea You're pre-approved for a cash advance! Hoshizaki KMS-822MLH 839 lb. Remote Air-Cooled Cube-Style Ice Maker Sold As: 1 ea You're pre-approved for a cash advance! True GDIM-49NT-LD Two-Section Glass Door Indoor Ice Merchandiser 49 Cu Ft Sold As: 1 ea You're pre-approved for a cash advance! 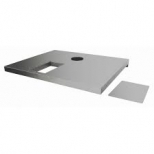 Hoshizaki KML-700MWH-M 670 lb. 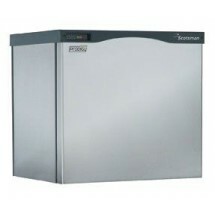 Remote Condenser Unit Cube-Style Ice Maker Sold As: 1 ea You're pre-approved for a cash advance! Hoshizaki F-300BAF 303 lb. 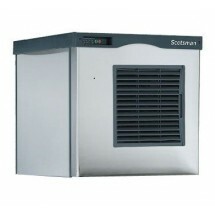 Air-Cooled Flake-Style Ice Maker with Bin Sold As: 1 ea You're pre-approved for a cash advance! Scotsman BH1100SS-A 1100 Lb. 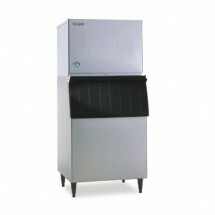 Upright Ice Bin for Top Mounted Ice Makers Sold As: 1 ea You're pre-approved for a cash advance! Scotsman BH1600BB-A 1755 Lb. 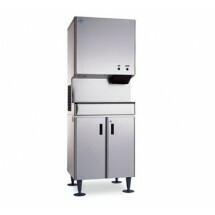 Upright Ice Bin for Top Mounted Ice Makers Sold As: 1 ea You're pre-approved for a cash advance! Hoshizaki KMS-830MLH 820 lb. Remote Air-Cooled Cube-Style Ice Maker Sold As: 1 ea You're pre-approved for a cash advance! Hoshizaki F-801MAH 795 lb. Air-Cooled Flake-Style Ice Maker Sold As: 1 ea You're pre-approved for a cash advance! Hoshizaki KMS-1401MLH 1311 lb. Remote Air-Cooled Cube-Style Ice Maker Sold As: 1 ea You're pre-approved for a cash advance! Hoshizaki F-801MWH 663 lb. 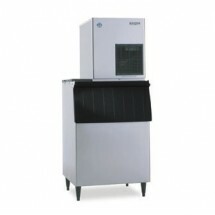 Water-Cooled Flake-Style Ice Maker Sold As: 1 ea You're pre-approved for a cash advance! Hoshizaki F-801MAH-C 728 lb. Air-Cooled Nugget Compressed Ice Maker Sold As: 1 ea You're pre-approved for a cash advance! Hoshizaki F-801MWH-C 627 lb. Water-Cooled Nugget Compressed Ice Maker Sold As: 1 ea You're pre-approved for a cash advance! Scotsman C0830MR-32 870 Lb. 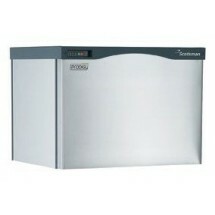 Prodigy Medium Cube Style Remote Air-Cooled Ice Machine Sold As: 1 ea You're pre-approved for a cash advance! Scotsman C0830SR-32 870 Lb. Prodigy Small Cube Style Remote Air-Cooled Ice Machine Sold As: 1 ea You're pre-approved for a cash advance! Scotsman F0822R-1 760 Lb. 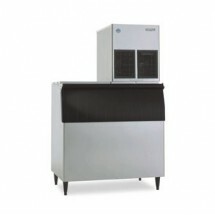 Prodigy Flake Style Remote Air-Cooled Ice Machine Sold As: 1 ea You're pre-approved for a cash advance! Hoshizaki KMD-901MRH 848 lb. Remote Air-Cooled Cube-Style Ice Maker Sold As: 1 ea You're pre-approved for a cash advance! Scotsman C0830MA-32 905 Lb. 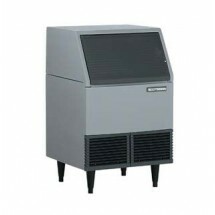 Prodigy Medium Cube Style Air-Cooled Ice Machine Sold As: 1 ea You're pre-approved for a cash advance! Scotsman C0830SA-32 905 Lb. Prodigy Small Cube Style Air-Cooled Ice Machine Sold As: 1 ea You're pre-approved for a cash advance! Scotsman F0822A-1 800 Lb. 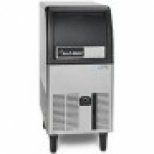 Prodigy Flake Style Air-Cooled Ice Machine Sold As: 1 ea You're pre-approved for a cash advance! Hoshizaki KM-901MRH 889 lb. Remote Air-Cooled Cube-Style Ice Maker Sold As: 1 ea You're pre-approved for a cash advance! Hoshizaki KM-901MWH 912 lb. 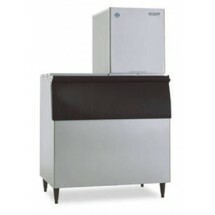 Water-Cooled Cube-Style Ice Maker Sold As: 1 ea You're pre-approved for a cash advance! Hoshizaki KM-901MAH 874 lb. Air-Cooled Cube-Style Ice Maker Sold As: 1 ea You're pre-approved for a cash advance! Hoshizaki KM-901MRH3 899 lb. 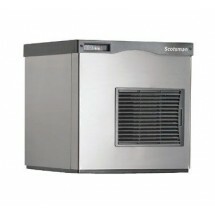 Remote Air-Cooled Cube-Style Ice Maker Sold As: 1 ea You're pre-approved for a cash advance! Scotsman C0830SA-3 905 Lb. Prodigy Small Cube Style Air-Cooled Ice Machine Sold As: 1 ea You're pre-approved for a cash advance! Scotsman ID250B-1 250 Lb. Countertop Ice Dispenser Sold As: 1 ea You're pre-approved for a cash advance! Scotsman C0830MW-32 924 Lb. Prodigy Medium Cube Style Water-Cooled Ice Machine Sold As: 1 ea You're pre-approved for a cash advance! Scotsman C0830SW-32 924 Lb. Prodigy Small Cube Style Water-Cooled Ice Machine Sold As: 1 ea You're pre-approved for a cash advance! Scotsman F0822W-1 775 Lb. 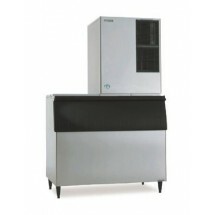 Prodigy Flake Style Water-Cooled Ice Machine Sold As: 1 ea You're pre-approved for a cash advance! Hoshizaki F-500BAF 501 lb. Air-Cooled Flake-Style Ice Maker with Bin Sold As: 1 ea You're pre-approved for a cash advance! Scotsman F0822W-32 775 Lb. 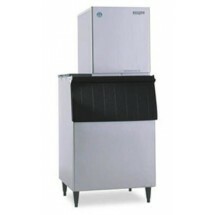 Prodigy Flake Style Water Cooled Ice Machine Sold As: 1 ea You're pre-approved for a cash advance! Scotsman F1222L-1 1180 Lb. 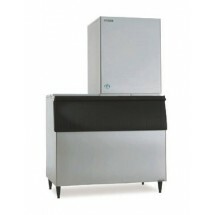 Prodigy Flake Style Remote Low Side Ice Machine Sold As: 1 ea You're pre-approved for a cash advance! Hoshizaki KMD-901MWH 876 lb. Water-Cooled Cube-Style Ice Maker Sold As: 1 ea You're pre-approved for a cash advance! Scotsman BH1300SS-A 1400 Lb. 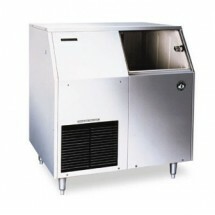 Upright Ice Bin for Top Mounted Ice Makers Sold As: 1 ea You're pre-approved for a cash advance! Scotsman N0622A-1 643 Lb. Prodigy Nugget Style Air-Cooled Ice Machine Sold As: 1 ea You're pre-approved for a cash advance! Scotsman N0622A-32 643 Lb. 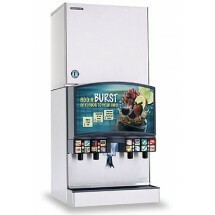 Prodigy Nugget Style Air-Cooled Ice Machine Sold As: 1 ea You're pre-approved for a cash advance! Scotsman N0622W-1 715 Lb. Prodigy Nugget Water-Cooled Ice Machine Sold As: 1 ea You're pre-approved for a cash advance! 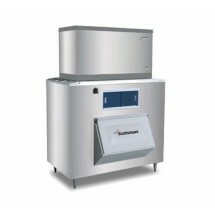 Atosa YR800-AP-261 Commercial Ice Maker 800 Lbs. with Ice Bin Sold As: 1 ea You're pre-approved for a cash advance! Scotsman N0922L-1 1090 Lb. Prodigy Nugget Style Ice Machine Sold As: 1 ea You're pre-approved for a cash advance! Scotsman BH1600SS-A 1755 Lb. Upright Ice Bin for Top Mounted Ice Makers Sold As: 1 ea You're pre-approved for a cash advance! Scotsman C1030MR-32 996 Lb. 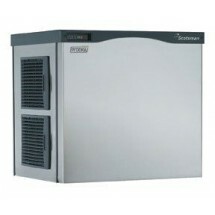 Prodigy Medium Cube Style Remote Air-Cooled Ice Machine Sold As: 1 ea You're pre-approved for a cash advance! Scotsman C1030SR-32 996 Lb. Prodigy Small Cube Style Remote Air-Cooled Ice Machine Sold As: 1 ea You're pre-approved for a cash advance! Hoshizaki F-1001MRH-C 840 lb. Remote Air-Cooled Nugget Compressed Ice Maker Sold As: 1 ea You're pre-approved for a cash advance! Scotsman C1030MA-32 1077 Lb. Prodigy Medium Cube Style Air-Cooled Ice Machine Sold As: 1 ea You're pre-approved for a cash advance! Scotsman C1030SA-32 1077 Lb. Prodigy Small Cube Style Air-Cooled Ice Machine Sold As: 1 ea You're pre-approved for a cash advance! Scotsman C1030SW-32 1009 Lb. 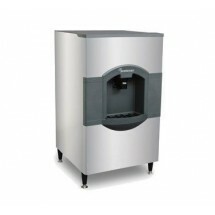 Prodigy Small Cube Style Ice Machine Sold As: 1 ea You're pre-approved for a cash advance! Hoshizaki DCM-300BAH 321 lb. 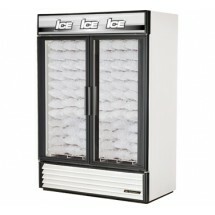 Air-Cooled Cube-Style Ice Maker Dispenser Sold As: 1 ea You're pre-approved for a cash advance! Hoshizaki F-1001MAH 970 lb. Air-Cooled Flake-Style Ice Maker Sold As: 1 ea You're pre-approved for a cash advance!